What can we learn from Chris Froome’s power data? 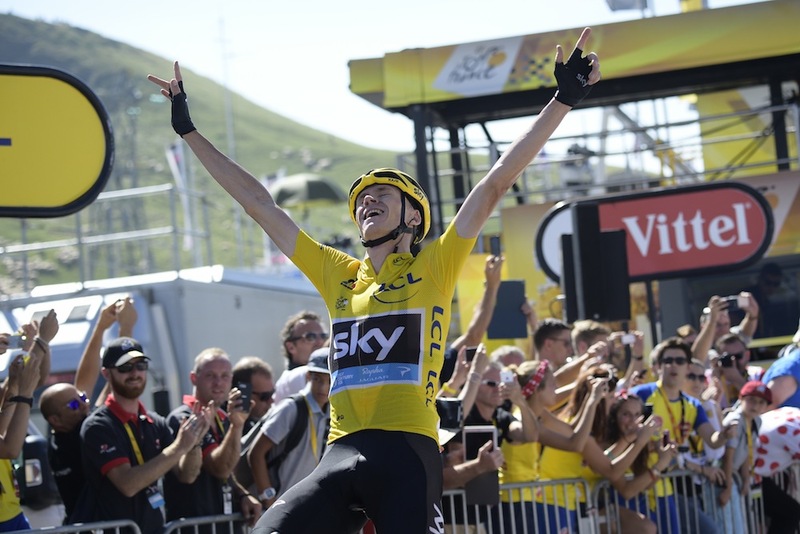 This year’s Tour de France has been dominated by arguments among pundits and former riders about the plausibility of the performances of Chris Froome and the rest of Team Sky. In an attempt to address some of the questions, on the second rest day of the Tour the team’s head of athlete performance, Tim Kerrison, provided some of the team’s data to journalists. It was from the climb to La-Pierre-Saint-Martin, where Froome took a stranglehold on the race on Stage 10. VAM is a measure of climbing speed, measured in metres-per-hour. The biggest values ever seen in pro cycling, over sustained climbs, were in excess of 1800 Vm/h, from Lance Armstrong and Marco Pantani. At the other end of the scale, the grupetto on a climb like the Col du Soudet would be more like 12-1300 Vm/h. 1600 Vm/h is much closer to the climbing speeds seen in the pre-EPO era – although accurate VAM data is not always easy to come by, since it’s frequently calculated from historic TV coverage. “Asymetric chain rings mean that our power values over-read by about 6%, so corrected for that, his power-to-weight was 5.78w/kg,” he continued. This means that Froome’s corrected average for the whole climb was more like 390w. The data Kerrison presented for the full climb certainly appears to pass the plausibility test – it adds up with what we saw on the day. The problem is that it’s almost impossible to jump from there to any realistic physiological data. Even attempting to calculate something like VO2max – the “golden number” that everyone has heard of – is impossible, because it requires assumptions about relative anaerobic and aerobic contributions to the climb, the proportion of his maximum that Froome can sustain, and his own efficiency. Kerrison pointed this out himself. As for the Stage 10 data, Kerrison went on to discuss Froome’s attack. “The attack lasted for 24s,” he said. “The average for that was 556 w [522 w corrected] and the peak was 929 w [873 w corrected]. “To put the attack in context, in the four minutes leading up to it, when he was with the other contenders, his power was 449 w [422 w], and his VAM was 1777 Vm/h. After the attack, his power was 435 w [408 w], but he was still riding away from Quintana. Expressing the data in relation to previous rides may be a pointer as to how Team Sky feel data might most usefully be deployed – as a sort of power version of the existing bio-passport which works by looking for dramatic changes in an athlete’s profile rather than relying on comparing single outstanding metrics against an ‘average’. At the same press conference, Sir Dave Brailsford suggested the UCI might think about getting teams to provide power data to an expert panel to create just such a system. The team will be aware that releasing selected data to journalists in the middle of a race is unlikely to put an end to the speculation. But they will certainly be hoping to have made a worthwhile start.